Kids Can Obey and Play! “Did you bring your dinosaurs?” asked Riley as she rushed into class and scanned the room for Fluffy and Maximus. These T-rex twins are a favorite with many kids in my class, but others prefer my bright yellow Minions, Stuart and Kevin, or one of the many other behavior incentives that show up in my class regularly. Of course we don’t call them behavior incentives in class; we call them games. (If you ever meet kids from my class, don’t tell them their favorite games are actually all part of my top- secret plan to maintain order in my class.) Saying, “I brought a game for you today!” always goes over better than telling kids, “I brought some rules for you to obey.” A behavior incentive is a prize, game, or activity that motivates the children to behave. When I was a kid, people often used “Quiet Seat” as a behavior incentive where one child who followed the rules was chosen to receive a prize at the end of class. This type of behavior incentive can be helpful, but I have discovered many children aren’t motivated by it because it often only affects the end of class and there is only one winner. So I began planning and playing games where lots of kids could win and where the children received frequent fun reminders throughout the class about following rules. This may sound complicated if you’ve never tried it before, but it’s really as easy as 1, 2, 3! 1. Explain the game at the beginning of class. 2. Play the game throughout your class. 3. Congratulate the winners at the end of class. As you begin your class, tell the children you’re going to have a contest! Behavior incentive games can be played as contests with kids competing against each other as teams or kids competing against the teachers. Choose how you want to play and explain the game to the kids. Explain that you won’t be playing the game all at once, but will pause occasionally throughout your class to play. Tell them that in order for them (or their team) to have a turn playing the game, they have to be following the class rules. Of course this means you need to have some class rules for the kids to follow. I like to use the UPs rules: sit up, zip up, look up, listen up, and hand up. Reviewing these rules before I start every class ensures that the kids know exactly what I expect of them. Then I say something like, “If you want to play the game, you need to obey. I’ll be watching closely throughout the whole class and when I see someone doing an incredibly fantastic job obeying the rules, they (or their team) get to play the game!” Of course, once you’ve made this promise, you need to keep it by actually remembering to watch for positive behavior and play the game periodically throughout your class. That brings us to the next step. Gradually playing the game bit by bit throughout your class is what makes these games so effective. 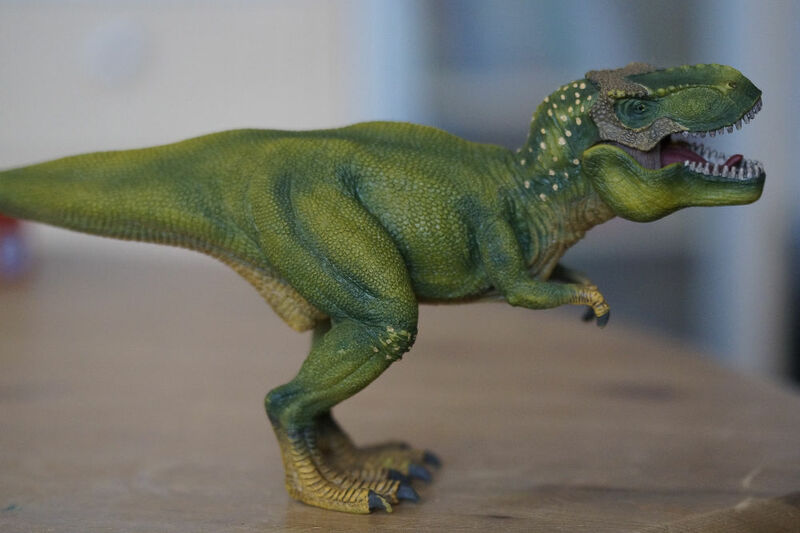 It gives the kids a way of tracking their success when they can actually see their team’s dinosaur mascot gradually moving toward the finish line. It also motivates them to try harder when they see the other team pulling ahead. The friendly competition adds an element of fun that permeates your entire class. But you may get so caught up in teaching your class that you forget to watch for good behavior and play the game. You may need to enlist a sidekick to help you get started. Another adult or teen can watch for kids who are obeying the rules and use a secret signal to point them out and remind you to play the game. “Woot! Woot! Woot! Woot! Little girl in pink dress at three o’clock! Initiate game protocol in 3,2,1…” You could also plan to pause between each activity to play the game or maybe even put a neon sign at the back of the room that says “PLAY THE GAME!” Do whatever it takes to remind yourself to watch for good behavior and pause periodically throughout your class to reinforce good behavior by playing the game. This is what makes these games so effective! Gradually playing the game bit by bit throughout your class is what makes these games so effective. Step 3: Congratulate the winners! Before dismissing your class, tell them who won the game. If desired, you can reward the winners in a variety of ways. The easiest way to reward them is to just let them have the joy of winning. It’s fun to win! Of course you can also give the winners a prize, but this can quickly get expensive if you do it regularly. Here are a few other ways I have rewarded winning teams in my class. 1. Award one billion points to the winning team—points are free, but kids love getting them! 2. Let the winning team be dismissed from class first. 3. Bring two silly hats (scarves, masks, or gloves could also work) and let the winning team vote on which one you will wear for the next five minutes. 4. Make a silly trophy and display it on the winning team’s side of the room until your next class. These are just a few ways to congratulate the winners. I would tell you more, but I hope to eventually make that the subject of an entire article so stay tuned! Now you’re ready to start playing behavior incentive games! I’ve compiled some of my favorites to help you get started. Let the games begin! These games don’t exactly fit a particular theme, but I use them a lot because kids have so much fun playing them. Mascot Race—Provide a fun mascot like toy animals (preferably dinosaurs) such as “Fluffy and Maximus”, toy cars, or cartoon characters for each team. (I’ve even been known to use my shoes in a pinch.) Have the mascots start on one side of the room (or perhaps at one end of a table) and race to the other side throughout your class. Tell the kids their mascot only moves forward when they do an incredible job following the rules. Then LOOK for positive behavior throughout the entire class and point it out by saying things like, “I saw someone on the Fluffy’s team doing a SUPER job looking up and listening up—GOOOOOOOO Fluffy!! !” This game helps kids monitor their progress throughout the class. They can see how well they are doing and this motivates them to keep making good choices. Cartoon Character Contests—Kids of all ages get excited about cartoon characters so I borrowed my son’s Stuart and Kevin action figures and brought them to church. Presto! These whimsical Minion movie stars became team mascots! When Stuart’s team was following rules I could briefly pause my lesson to grab a whiteboard marker or pencil and set it next to Stuart. When Kevin’s team was totally rocking positive behavior, I could pause between songs to grab a paper clip or crayon and set it next to Kevin. The team with the most classroom supplies by the end of class won! If you don’t have toy action figures; you can easily find coloring pictures of popular cartoon characters or superheroes online to print and color as team mascots. It’s easy—you’re just a mouse click away from an epic contest between Lightning McQueen and Spiderman! Having a behavior incentive that relates to the theme of your lesson can help children learn and remember what you’re teaching. Having a behavior incentive that relates to the theme of your lesson can help children learn and remember what you’re teaching. You can choose an object from your lesson and plan a simple game that uses that object (or a picture of that object) to encourage obedience as you teach. Set The Table—Dish up some good behavior when you teach about Jesus feeding the 5,000, Queen Esther’s banquet, the Last Supper, or pretty much any lesson that involves food by letting kids “set the table.” Simply grab some plastic dishes, forks, spoons, cups, and napkins from your kitchen and you’re ready to play! Tell the kids they get to put things on the table when they obey the rules, but also warn them that you get to remove something from the table if they are not obeying the rules. Throughout your class, when you notice a child making an effort to follow the rules, let that child choose an item to set on the table. If some of the kids break one of the rules, remove an item from the table. At the end of your class the kids win if there are more items on the table than off of it. Fishing for Compliments—There are lots of lessons that involve fishing or fishermen in the New Testament. Write short encouraging compliments such as “Excellent!”, “Great Job!”, and “Fantastic!” on fish shaped pieces of paper and put them in a fish bowl or other similar container. (You can also adapt this game to go along with any lesson by using different paper shapes—lions for Daniel, ravens for Elijah, or sheep for the Good Shepherd.) Throughout your class, choose children who are doing a great job following the rules to pull one paper out of the container. Award their team 100 points for every letter in the compliment and encourage the children to show their paper to their parents/guardians after class. The team with the most points at the end of class wins and kids will enjoy showing their parents proof that they were “Fantastic” during Sunday school! The shape of the paper may even spark conversation about what the child learned in church that day! #winwinsituation! Birthday Present Points—There are many Bible lessons about special babies being born (Isaac, Jacob, Samuel, Samson, John the Baptist, and Jesus for instance) and you can use this game to capitalize on that theme in a fun way. Write different point values ranging from 100 to 500 on many slips of paper and put them all in a gift bag. Also include three slips of paper with “Happy Birthday” written on them. Explain the rules and tell children you will be watching for those who are doing their best to follow these rules. They will get to reach into the birthday present (gift bag) and pull out one slip of paper with points for their team. If they get a slip that says “Happy Birthday,” give their team 1,000 points! Kids enjoy games any time of year (fun is never out of season), but they can get extra excited about activities that fit the theme of the holiday or season they are anticipating or enjoying right now. Here are a few favorites. 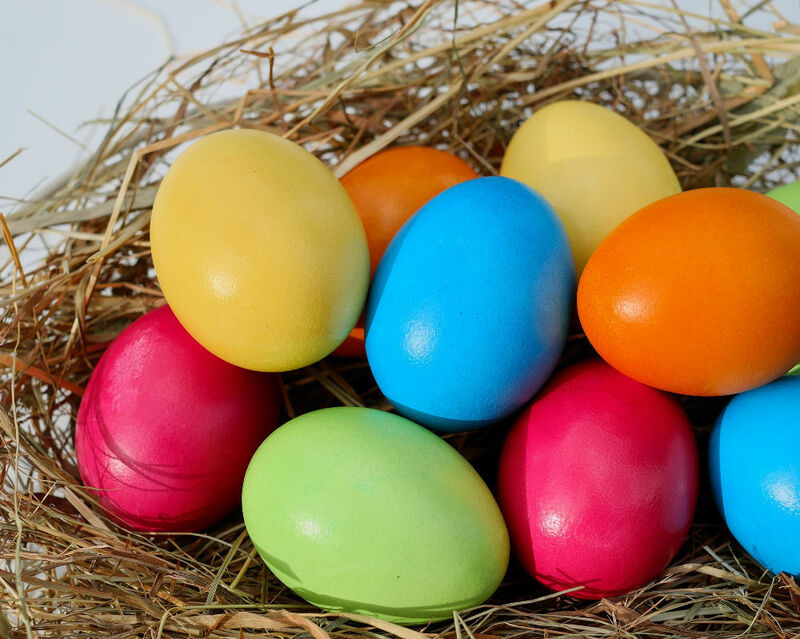 Easter Egg Hunt—Put small prizes in plastic eggs and hide the eggs throughout your classroom ahead of time. Pause occasionally throughout your class to point out and reward kids who are doing an eggsellent job following the rules. “Eggsellent job remembering to raise your hand, Carlos! Grab an egg and crack it open to get your prize!” You can also write points on papers to put in the eggs if giving out prizes won’t work well for your class. Snowball Fight—Make snowballs ahead of time by writing points on blank sheets of paper then crumpling them into balls. Pause occasionally during class to pick a child who has been making a good attempt to follow instructions and let them choose a snowball to throw at a target (If you’re ok with it, the kids would LOVE for you to be the target.) After they throw it open the snowball to reveal how many points they won for their team (or for themselves if you have a small group.) If they hit the target, they get doubled points! Snowman—Draw a circle on a whiteboard or piece of paper and tell the children it’s the beginning of a snowman. (If you have lots of kids divide them into teams and make a snowman for each team.) Tell them you will add another part to the snowman each time you notice someone following rules during the class. You can even let that kid pick which part to add to their team’s snowman! (corncob pipe, button nose, two eyes made out of coal, etc.) Challenge the kids to finish their snowman before the end of class by following the cool rules! These games require no advance preparation so you can be ready to instantly motivate positive behavior in a fun way. Guess What!—Think of something about yourself and tell the kids they have to guess what it is before the end of class. But they can only guess if they’re obeying the rules! Then, start your class, but pause occasionally as you teach to choose a reasonably well-behaved child to make a guess. If a kid guesses correctly on the first try, simply choose another favorite item and start again. There are lots of things you could have the kids guess. I wear crazy socks when I teach kids so I’m always ready to let the kids guess what color my socks are. 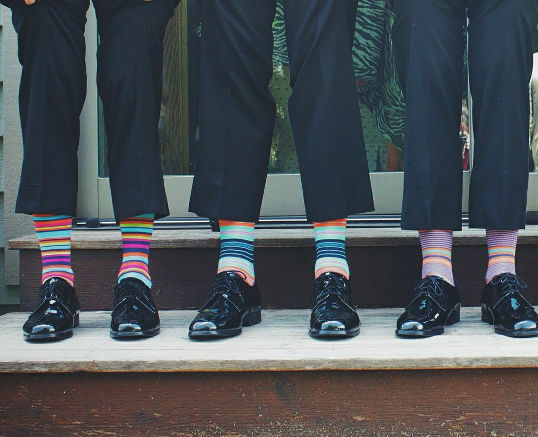 If crazy socks aren’t your thing, don’t worry—you can also let the kids guess your favorite ice cream, candy or superhero. Heads or Tails?—Hold up a coin as class begins. Tell the kids you will flip the coin each time you notice someone doing a super job following rules. Prior to each coin flip let the children predict the outcome by putting their hands on their heads (heads) or their back (tails.) Toss the coin, cheer for the kids who got it right, and then continue with your class. This quick game gives kids something to look forward to throughout the class and helps them get their wiggles out. With a little creativity you can create hundreds of variations of these games to go along with any theme or lesson! Most kids would rather play a game than follow rules, but you, the genius Sunday school teacher, can actually get them to do both at the same time! Will you get started right now to prepare a behavior incentive so the kids can obey and play in your next class? I love Nathan’s creative game ideas to help with classroom discipline. The teacher learns one game and applies it through a variety of creative and fun incentives that kids will appreciate. Modifying the game to directly relate to your lesson will certainly help students retain the message. Thank you Nathan for sharing tools of success with team CEF. Get your copy of “The Big Picture” today! At CEF, we’re introducing a brand-new way for you to get a big-picture view of our ministry while also seeing the personal impact on the life of an individual child. Through The Big Picture: An In-Depth Look at 25 Countries for CEF Outreach, you’ll get the scoop on 25 countries in the world where children are being taught about Jesus through our ministry.